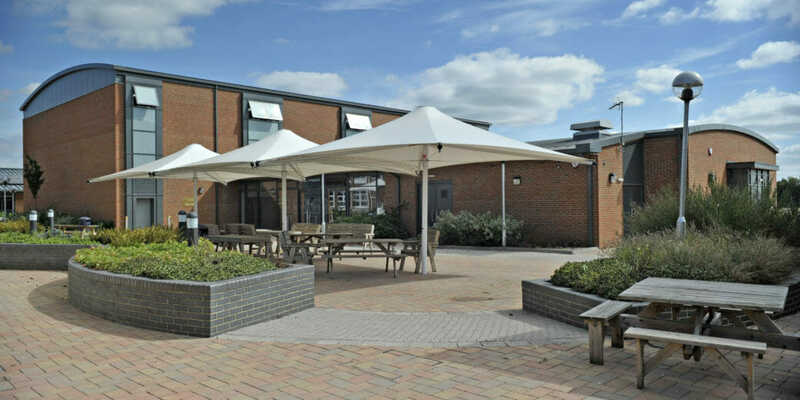 The two major projects that DKA delivered at Trafalgar School in Salisbury not only provide superb facilities for teaching and learning, they have created civilised social spaces in the sheltered courtyards, and safe and effective access for coaches delivering pupils to this rural school. 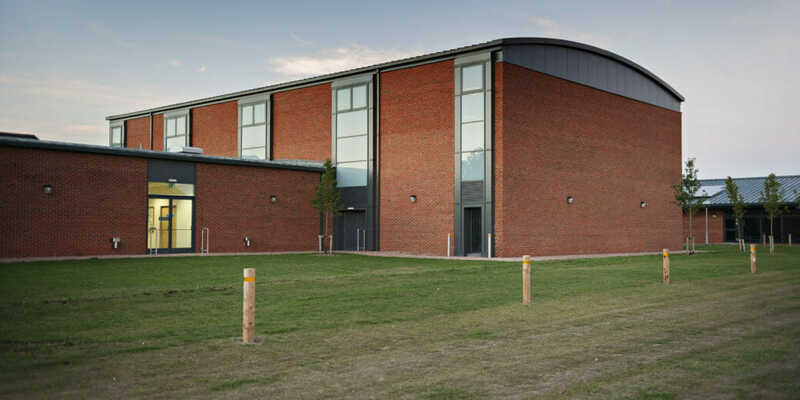 The new sports hall and The Diamond Building that contains general classrooms, a science room and library; provides a new face for Trafalgar School and benefits from panoramic views across the school playing fields. The sensitive landscape setting required buildings that merged with the brick facades of the original school when viewed from a distance. 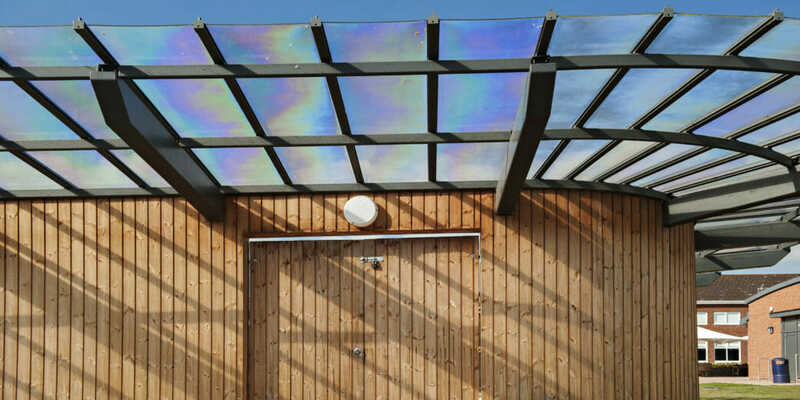 However, the high quality of form and detail provide a sophisticated backdrop to the enclosed courtyards. 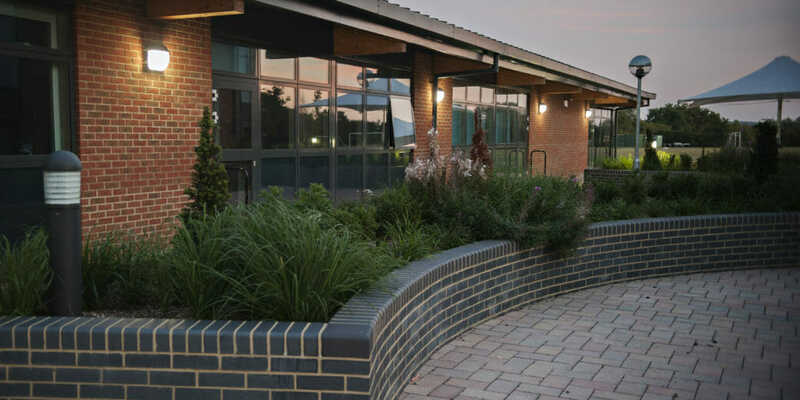 The close integration of new and old also helps to breathe new life into the existing school buildings. 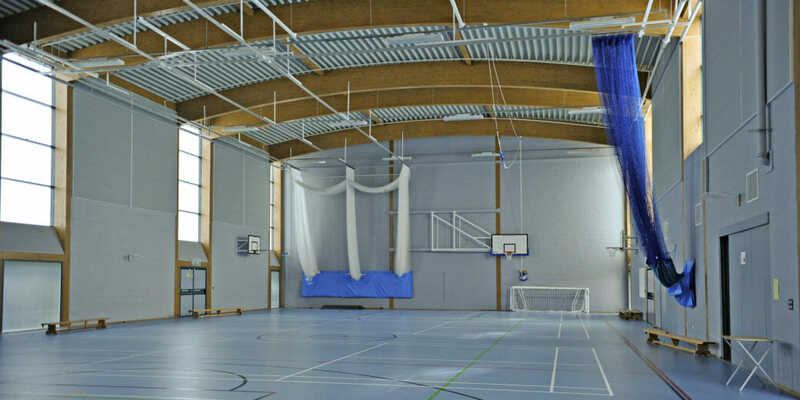 The new sports hall and changing facilities utilises paired timber glulam columns that frame towering windows and support the curved timber beams to the roof. 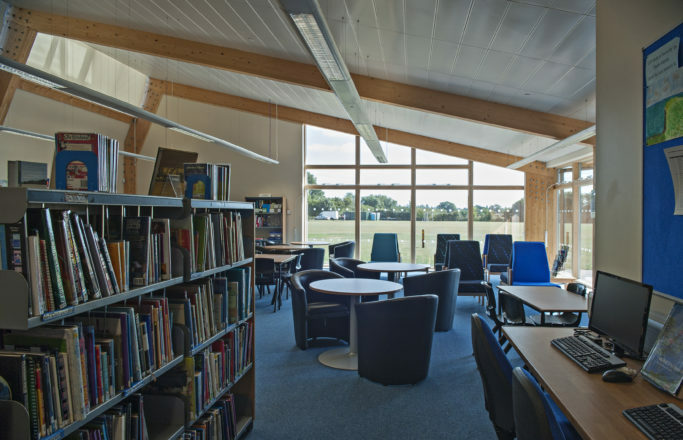 Low level glazing provides views out across the playing fields, whilst translucent glass at high level floods the interior with diffuse daylight. 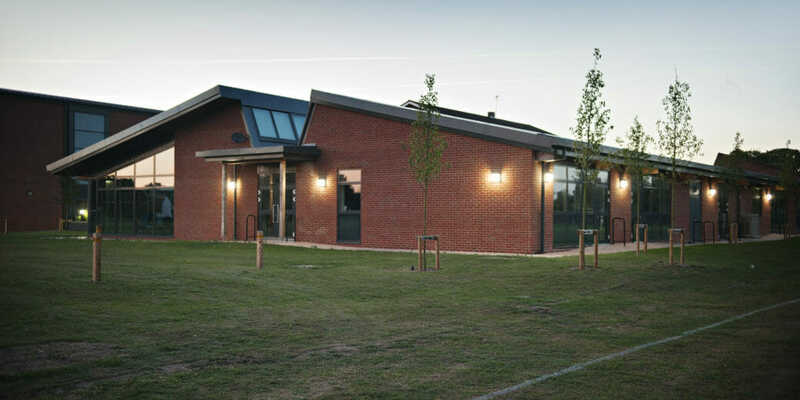 The large glazed entrance facade invites you in, whilst fabric canopies and curving planter enliven the courtyard and provide an enjoyable place to relax after your sport. 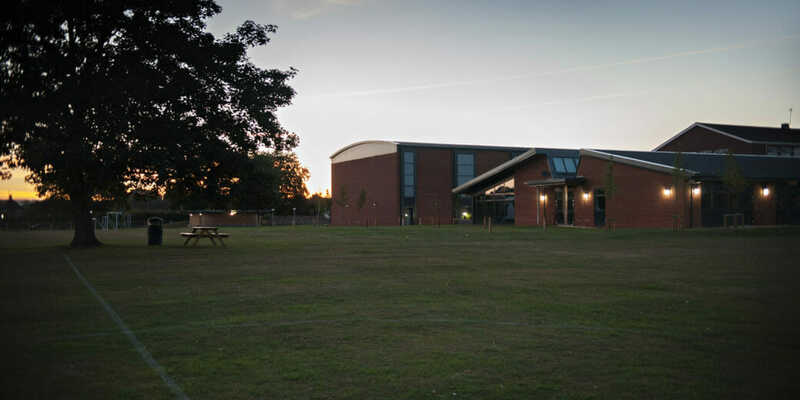 The Diamond Building that lies alongside the sports hall contains general classrooms, a science room and library. 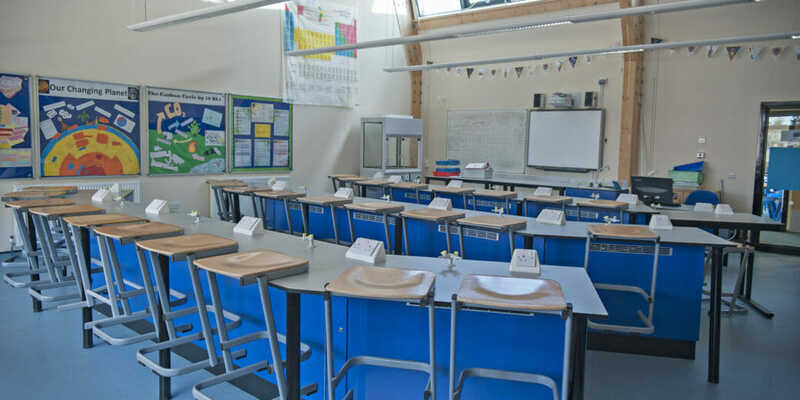 The form mimics that of the original technology block, with mono pitch roofs, either side of a central flat roof corridor that allows clerestory windows to flood the teaching rooms with daylight and provide cross ventilation. The expressed timber, glulam, structure enlivens the spaces, particularly in the central corridor where the march of timber portals is a distinctive feature along its length. The sprinkler tank that serves these two buildings could easily have been a blot on the landscape. 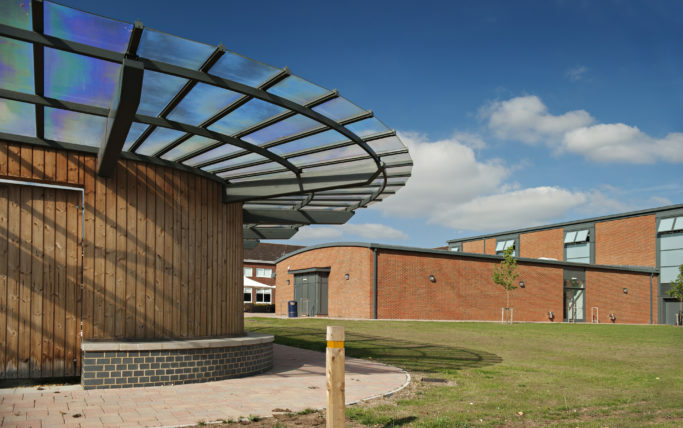 However, by using a low-profile tank, in a curved timber enclosure set on a brick plinth, with a glazed roof fanning out above, it has been turned into a stylish waiting shelter for pupils returning home on the school bus. 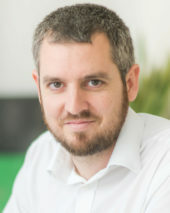 Andy became Education Associate within the practice in 2003. 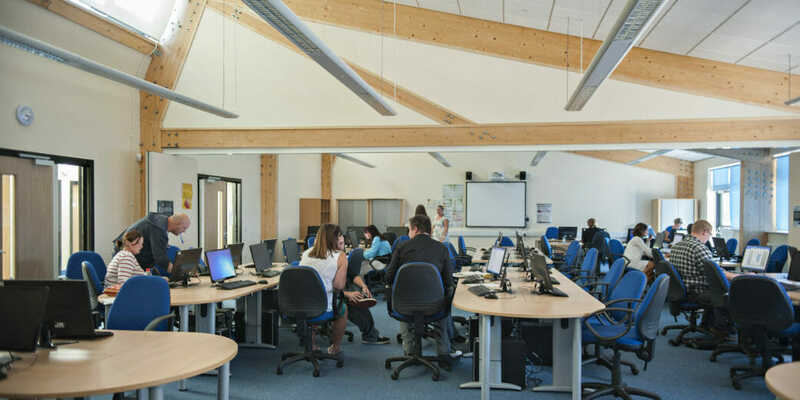 He places a strong emphasis on consultation, believing that engagement with stakeholders maximises the potential value of a project to school and community and can also be an educational, inspiring and enjoyable process in itself. 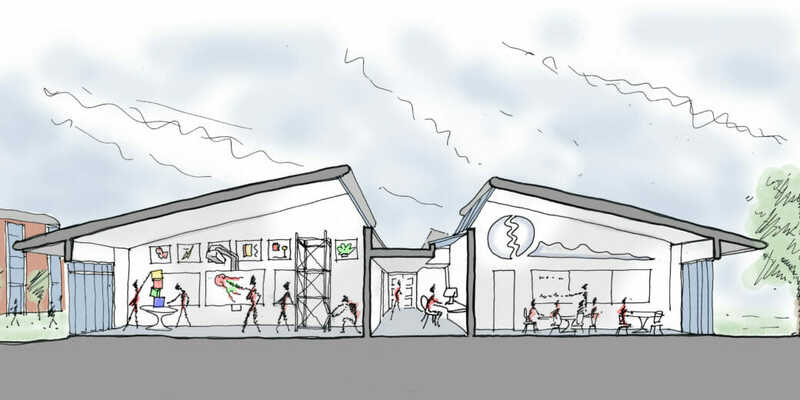 This approach results in buildings that are not only visually and spatially exciting, but also finely tuned to users’ needs and aspirations. 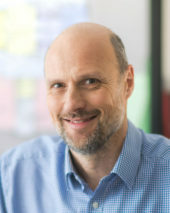 As a qualified DQI Facilitator, he also runs independent consultation events on projects designed by others.